What's the color combo on this? I love it!Bro, I have no idea. I painted it Dec '13 lol. I can play around in SP and try and recreate it. I don't think it even has a pearlecent. Can't remember. Bro, I have no idea. I painted it Dec '13 lol. Almost looks like it has metalflake in it. AKA something I desperately want ingame. The top is definitely matte black and I think the bottom is Galaxy Blue. Might be Sea Green, though; the lighting makes it harder to tell. 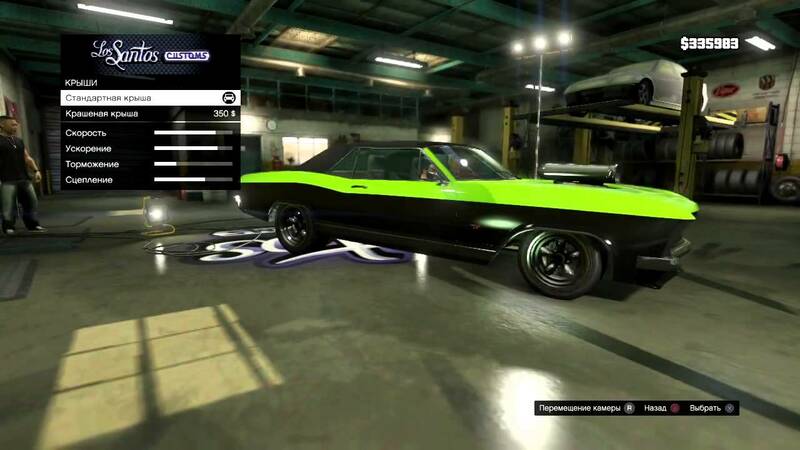 Doesn't look like it has a pearlescent, it'd be really obvious on the matte if it did. The top is not matte black. It is metallic. Now that you mention it, I believe it is galaxy blue on the bottom. Here is a recent video of it. Dark, but as you can see its not matte black. I'll post a better pic within the hour. Yeah, I can see the reflection on the trunk now. I was only looking at the C pillar before. I honestly liked it more when I thought it was matte, though; I thought it made a nice contrast. One of my best gaming memories is the first race against the Bestia. The start line at the light, light turns green, wheelies ahead of you. Great. Just great. 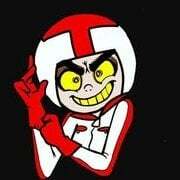 I remember for the longest time trying to start that race without doing a burnout. I guess I wasn't paying attention when the game explained the move. Ok guys, the car is Graphite/Galaxy Blue, has a light pearl. Probably ice white. All I have is this old picture from around 6 months ago. 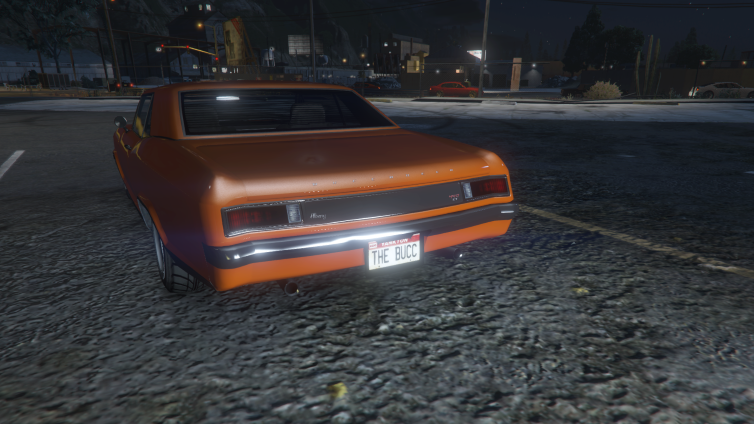 But I felt that two-tone combo worked really well with the Buccaneer. 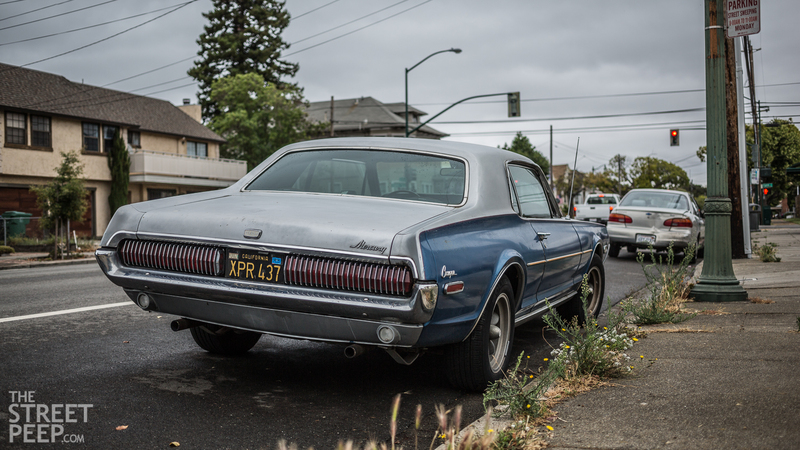 It was inspired by this photograph of a '68 Cougar. Too bad I can't remember the colors anymore. Heres one I had for a while, No matter what I paint it, it always ends up back like this. Love the Big back tires, and stance. It's a shame, isn't it? 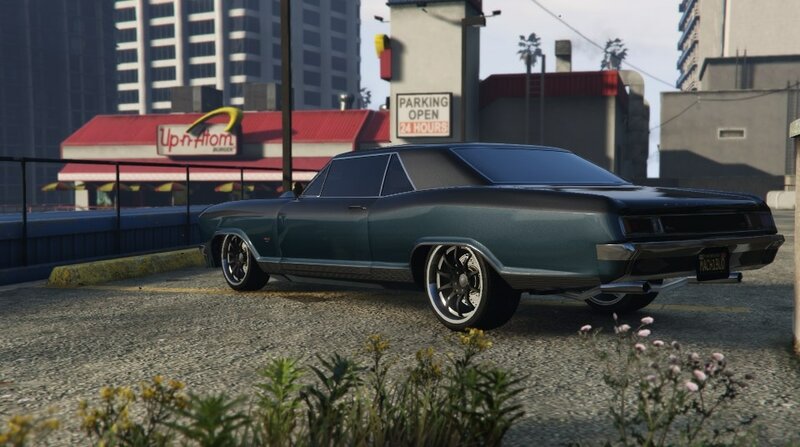 This is one of my favorites in the game. Truly a beautiful machine. 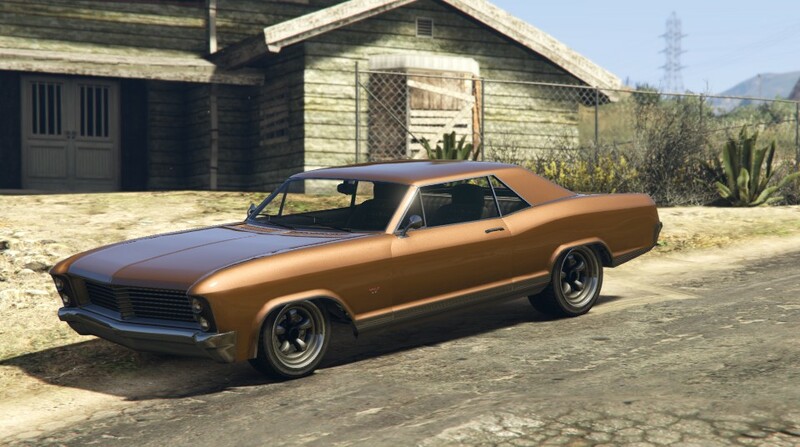 Mine's currently done up in a bronze-like color (inspired by a pic of a Riviera). I've had the car since early 2014, and it's been a mainstay in my garage ever since. Doesn't see much ligh these days, unfortunately. It's probably due a makover soon. 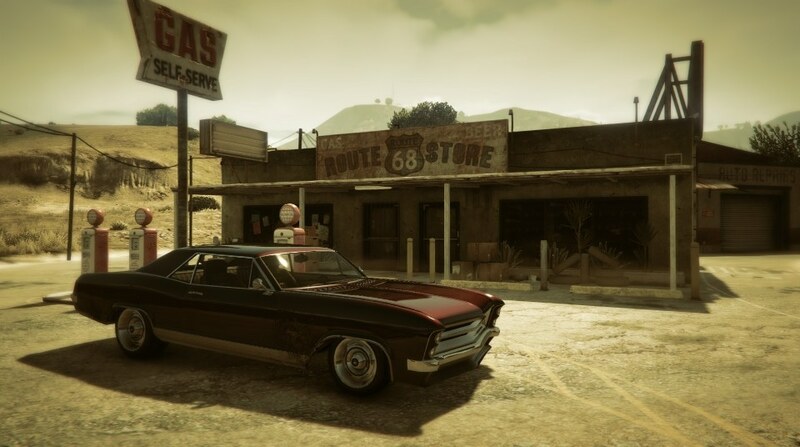 is there any GTA wheels that would match or be similar to whats on this ? 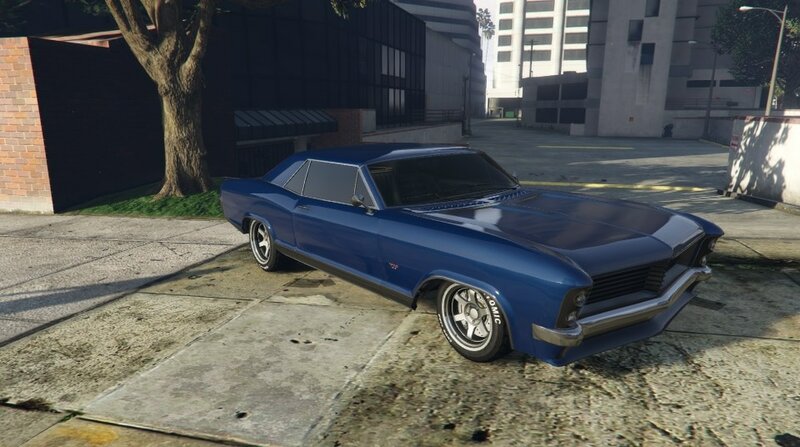 Kept mine pretty stock, even used the custom variant of the stock rims. Colour: grace red with torino red pearl. This Pic was the before Pic, I had the wrong hood on. BTW I wish we get an option either to get on our knees or lay down to take pics Lo profile style. 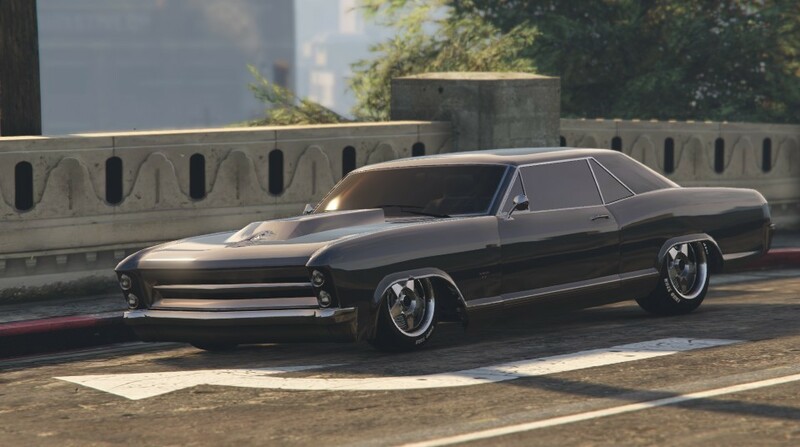 Love the vinyl option, great car. Got one, but not a good enough photo of it yet. 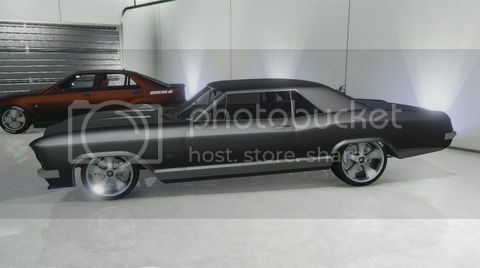 Both are now my go-to-cars, with the Buccaneer gettign slightly more gametime because it's been with me for much longer. Got stronger ''bonds'' with it if it makes sense. Wouldnt sell it ever. 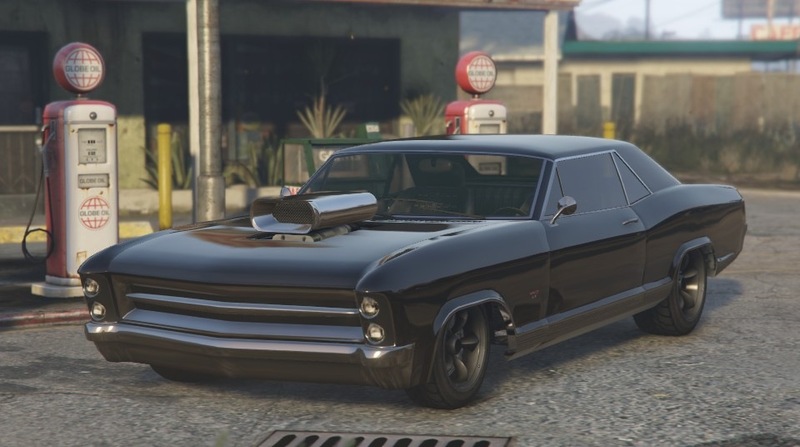 Goes great, is fast as hell for it's type and looks beastly. It sure is a respect inspiring car, as long as you dont color it in like a tacky color. Will upload a pic of it when possible. Used to be red, now it's blue and got a new grille, rims and tinted windows. Ofcourse tuned til max. Haven't seen many in blue, which is surprising for me now that i've realised blue fits it beautifully. This is a favorite pics of my Buc. 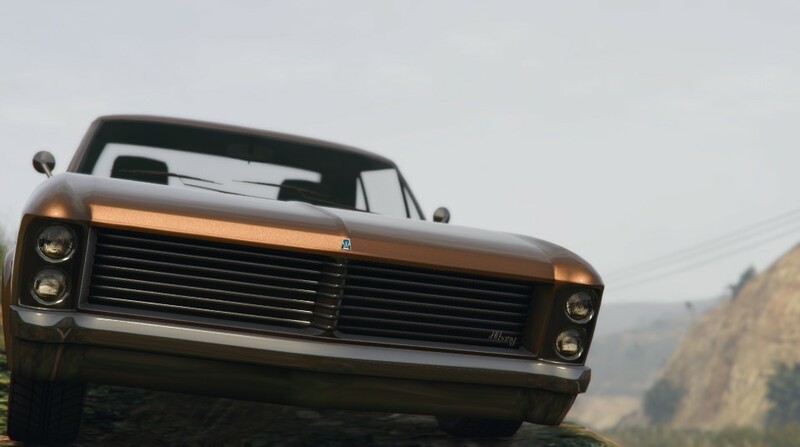 Really like the car. Won't ever sell it. One of my favorites... 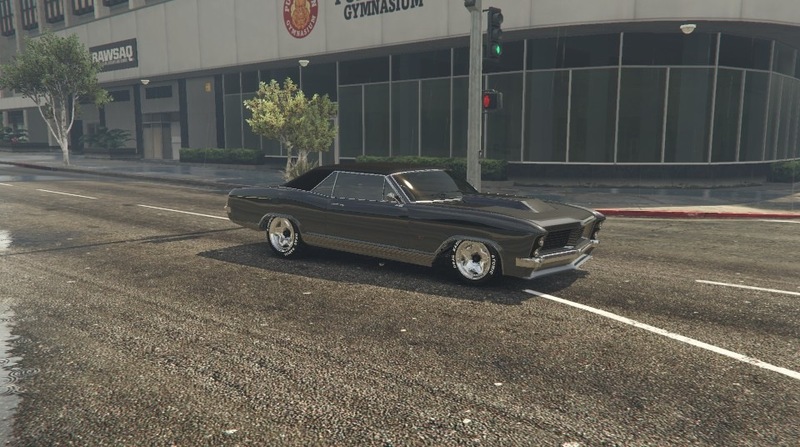 I've had this exact car since day 1. Now it's got chromie wheelz though.